“Firefox OS? What the f**k?” asked AllThingsD’s Walt Mossberg, kicking off the day’s first interview. Mozilla CEO Gary Kovacs said it’s all about the open Web standards that underlie the forthcoming Firefox operating system. Google may not have 44 million robotic cars on the road, but Waze has 44 million users, Waze CEO Noam Bardin said, and they make Waze’s maps better by using them. Bardin touted the power of crowdsourced driving directions, which so far have “validated” about 1.5 billion km (or about 932 million miles). Xiaomi sold 7.19 million handsets in 2012, and expects to sell double that number this year. The high-end smartphone company is one of China’s fastest-growing. “We believe the future of the mobile Internet is really about services,” said company president Bin Lin. 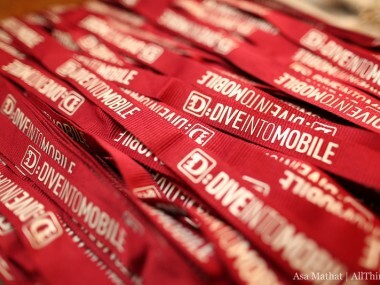 For more, please check out our full list of stories from D: Dive Into Mobile. See you tomorrow!